Planning an elk hunting trip? Buy the best hunting boots you can afford. Good hunting boots are the most important piece of gear you are going to buy. Every second you spend hunting is in your boots. In comparison, you are lucky if you get to use your rifle once per year. Why Invest in High End Hunting Boots? If you have ever done a lot of hiking in uncomfortable boots you will agree, having your feet blister up in the middle of a hunt is not fun and can be downright miserable. A few years ago I found myself a few miles into a hunt with many miles to go. Suddenly I felt the feeling no hiker or mountain hunters wants to feel, I was getting a blister. A pair of low end hunting boots I bought the season before for $100 on sale. Fortunately I had some moleskin in my pack but the 4000 foot climb back to the truck taught me an important less: don’t skimp out when it comes to boots. Don’t let blistered feet turn your hunting trip into a miserable experience. Anything you can do to prevent that from happening is worth every penny. This is why I recommend you get the best hunting boots you can. If you are going to spend up on any piece of gear, a pair of high end hunting boots is the place to do it. 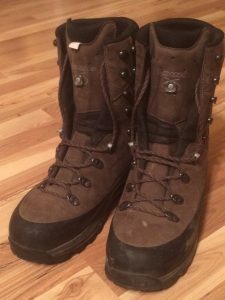 Fit/Comfort – Your boots must fit your feet, and they must be comfortable. The picks below are among the most comfortable hunting boots you can buy. Durability – You want something that is going to stand up to the abuse you are going to put it through. You will be packing heavy loads often times through harsh environments like brush, rocks, roots etc. The boot must be rigid when scaling a side hill or climbing up a steep face. 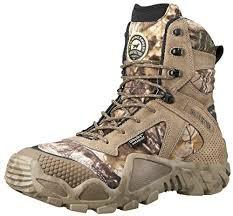 All three picks are among the top rated hunting boots by veteran hunters. Waterproof – Wet feet present a whole host of problems and can make for a miserable hunt. Value – While you want to get the best hunting boot possible, price still comes into play. Warranty – If you are investing a significant amount of money into a pair of boots you want to be covered in the case of a manufacture defect etc. The Lowa Tibet is a favorite among both hunters and hikers. 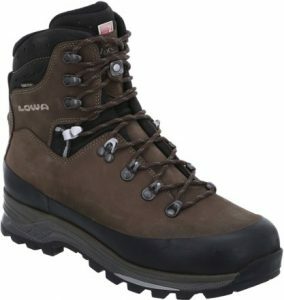 Lowa uses Gore-Tex waterproofing membrane and Vibram outsoles for solid traction. It also uses a Nubuck leather upper and weighs in at 4 lbs a pair. These boots also feature I-Locks on the foot laces to lock the lower half of the lacing tight. The price is in between the other two options below. The Lowa’s come with a 12 month defect warranty. There is no doubt they are great hunting boots. Get your pair HERE. The Italian manufactured Kennetrek’s are another extremely popular hunting boot. They feature proprietary Windtex waterproofing membranes and K-Talon outsoles. They are heavier than the Meindl weighing in at 4.2 lbs per pair. One benefit you will notice if you buy the Kennetreks is the teeth on the toe and the heel to help when climbing up or down steep terrain. 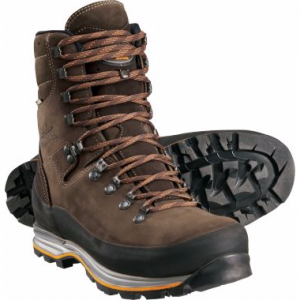 The 2.8mm top-grain leather uppers provide excellent support and protection from sharp terrain. They are the most expensive boot of the bunch but you will get years of use from these boots and they come with a 12 month defect warranty. Check out the uninsulated version HERE and the insulated version HERE. Meindl makes excellent boots. The Denali’s weigh in at 3.6 lbs for the pair and feature the Fit IQ system to achieve the bet fit possible. Meindl uses Gore-Tex membranes to keep your feet dry and Vibram outsoles for excellent traction and durability. The durability is also supported by the full-grain nubuck leather and is backed up by a lifetime guarantee. 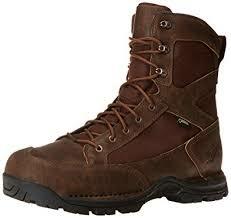 All in all the Meindl is a great boot especially considering the price relative to the boots above. Unless you are hunting in very cold terrain (sub 10 degree Fahrenheit ) I recommend choosing uninsulated boots. Check them out HERE. For an insulated pair I recommend the Meindl Perfekt Extreme. The Pronghorns have been popular with hunters for a long time. They use Gore-Tex waterproof lines to ensure your feet stay dry. As opposed to the high end choices, the Danner’s use a mixture of leather and nylon for the uppers. They cost between $160-$200 and come in both uninsulated and insulated versions. While the Irish Setter’s don’t compare with the high end hunting boots I recommend above, they will still serve you well. They are lightweight weighing in at only 2 lbs. 6 oz a pair. 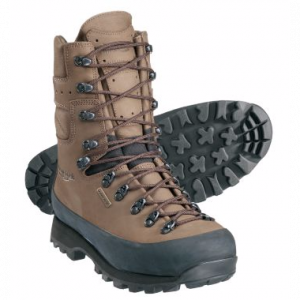 The boots are waterproof and use a mixed nylon and leather upper. If you are on a budget, these will get the job done. Check them out HERE. 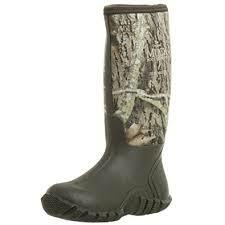 While they may not be best hunting boots of all time, MuckBoots are the best rubber hunting boots I have used. They are useful for anyone who lives in a wet climate part of the year. I love mine and find they especially useful for fishing. The MuckBoots do a surprisingly good job of keeping your feet warm. I have worn my pair in below freezing temperatures and my feed didn’t get cold whatsoever. They also seem to be very resilient. I have walked through thick brush as well as on sharp rocks and I have had zero issues with wear and tear. If you can manage, buy one of the high end pairs of boots. They are all three among the best hunting boots money can buy. I will highlight where you can save some money on gear in future articles. Boots are not the place to skimp. Your feet will thank you.